A Cataract is the change in clarity, or clouding of the lens within the eye. The lens, located just behind the iris (the colored part of the eye) works like the lens in a cornea - focusing light images into the retina, which sends images to the brain. When the lens loses its transparency, images become blurred. About 50% of Americans between the ages of 65 and 74 have some shape of cataract development. Eye injuries, certain diseases (diabetes) or even some medications (e.g. steroid) can cause early clouding. However, in over 90% of cases, a cataract is caused by the natural aging process. As the lens ages, although it may still be clear, it becomes harder and less flexible and less able to change shape for near vision (accommodation). This process becomes apparent at about age 40 and continues until accommodation is lost, typically by age 65. Loss of accommodation of the lens is a normal aging process, known as presbyopia . Reading glasses become stronger over time to compensate for the loss of ability to focus up close. The initial symptoms of cataract make it appear as if one is looking through a dirty window. A cataract may be the reason sharp images become blurred, light colors become dull, or seeing at night is more difficult. It may also be why reading glasses or bifocals that used to work well don’t help as much. 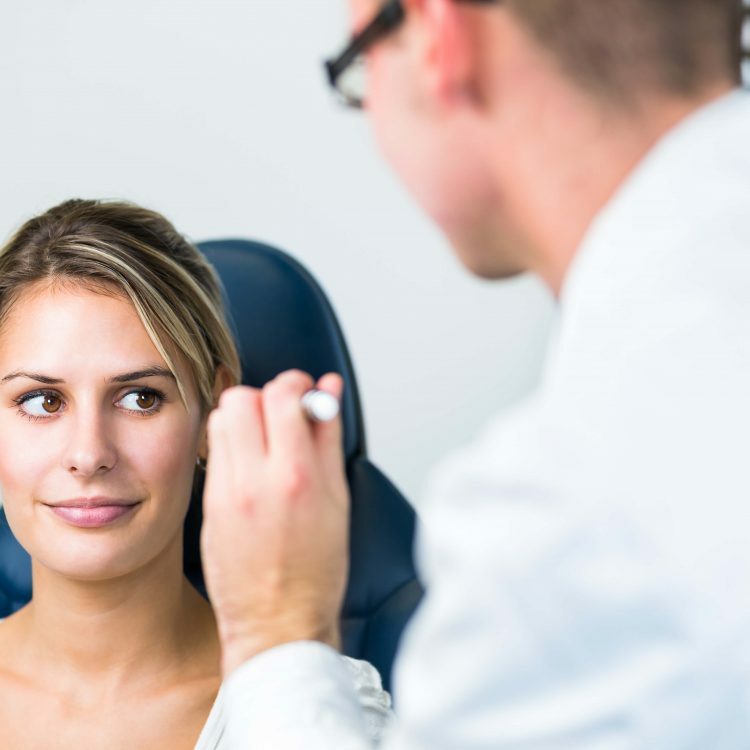 At present, despite a great deal of research and numerous over-the-counter remedies, there is no proven nonsurgical treatment to cure or retard the development of cataracts. Those who focus on the relationship between dietary patterns and various diseases see evidence that people whose diets are rich in antioxidants (vitamin A and carotene) may be less likely to develop cataracts. It is unlikely that one can benefit from taking multivitamin supplements in the place of a diet lacking in fruits and vegetables. Prolonged exposure to ultraviolet (UV) light may play a role in the formation of cataracts. UV protection in glasses, lens or tinted, would be beneficial. Large population studies have shown that cigarette smokers face up to twice the risk, as nonsmokers in developing cataracts. The best way to treat a significant cataract is to remove the old, clouded lens and restore the vision with a replacement lens. The time to have your cataracts removed is when the quality of your vision begins to limit your activities and enjoyment of life.